Joe Carbury said it over a thousand times and here we go again in Medicine Hat. 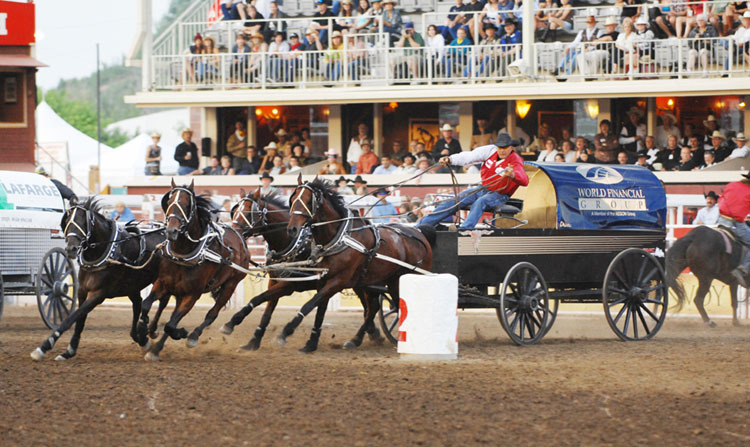 The World Professional Chuckwagon Association is bringing the Half Mile of Hell to the Medicine Hat Exhibition and Stampede Grounds June 11 – 13th this year. One of the most personable Chuckwagon drivers to ever run on the circuit will be doing his best to take the title this year. Shane Cartier will be running under the Davis GMC Truck Center tarp and he’ll be looking to improve on his most recent standings. Shane is a veteran driver entering his 7th season on the WPCA Pro Tour. 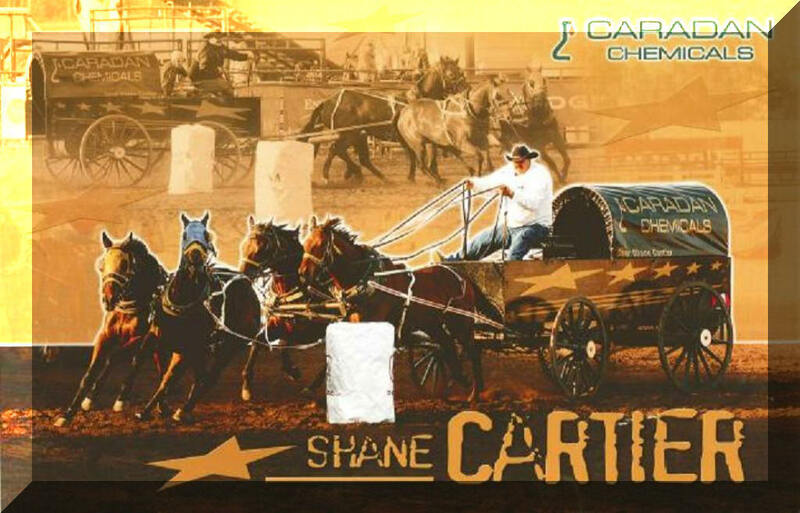 He won the Calgary Stampede’s Orville Strandquist award for the top rookie driver in 2007, and is the 2nd highest selling rookie of all time at the Calgary Stampede Chuckwagon Canvas Auction. In his rookie season in 2004, Shane was the runner up for at the Badlands Dinosaur Derby and later that season he received the Kenn Borek Most Sportamanlike Driver award at the Battle of the North. A product of the Pony Chuckwagon circuit, Shane ran the circuit for 18 years winning 15 show championships. 2009 saw Shane post 2 top 10 runs with a 3rd place run at the Strathmore Heritage Days Stampede, being his best of the year. Come on out June 11 – 13th and cheer on Shane in the Davis GMC Truck Center Chuckwagon and enjoy a great evening of entertainment watching the WPCA’s Half Mile of Hell! !